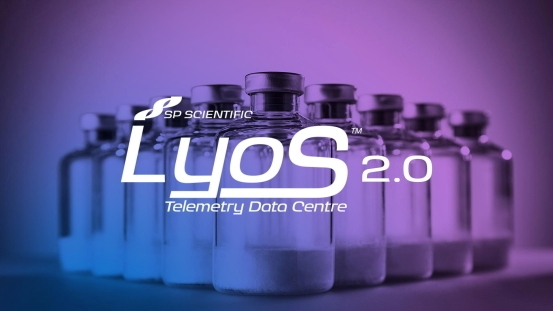 SP Scientific announces the launch of LyoS™ 2.0 - a Line-Of-Sight™ enabled lyophilizer control system able to control platforms from development to production units, making cycle transfer and scale-up that much simpler. Optional 21 CFR Part 11 compliance capabilities ensure that LyoS 2.0 control system software is both fully configurable and fully validatable for regulated pharmaceutical and biotechnology applications. SP Scientific offers testing protocols intended to support the processes that will be performed by the end user, as well as onsite control system IQ/OQ validation support and a comprehensive factory-initiated software validation. Designed for SP's research, development, and production lyophilizers, including the LyoCapsule, LyoStar, Genesis, Ultra and LyoConstellation, LyoS 2.0 and SP Line of Sight technologies can be used to upgrade other freeze dryers in certain instances. SP Scientific is a leading manufacturer of freeze dryers / lyophilizers, aseptic vial washing and tray loading machines, temperature control / thermal management equipment, centrifugal evaporators and concentrators, glassware washers, and controlled environmental rooms and chambers. The company sells its products under well-known brands including VirTis, Hull, PennTech, FTS Systems, Genevac and Hotpack. SP Scientific has ISO 9001:2015 registered production facilities in the USA and Europe.